Find out what's so good about our doors. If you live in the North of WA we also have certified Cyclone rated garage doors for all wind regions. We carry a range of door styles and colours in stock and can usually install your new door within 2-3 weeks of being ordered. The new IGD garage door openers are like no other, with a modern design and functionality. Super quiet and powerlift DC motors ensure a soft start and stop every time. Our belt driven garage door openers not only ensure smooth door movements but also mean there is no noise from rattling and noisy chains. IGD are a WA owned company and are the premier wholesaler of Insulated Sectional Garage Doors in Perth. 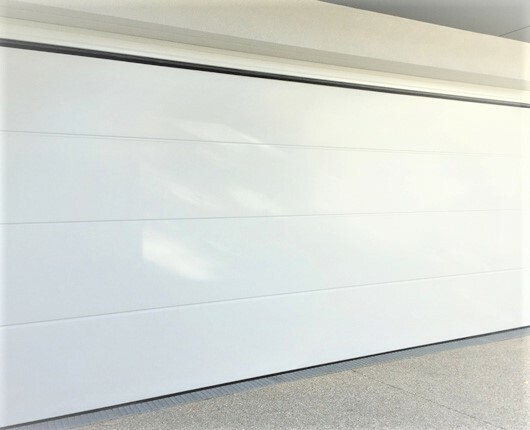 We supply sectional Polyurethane garage doors and openers direct to builders, garage door company's and garage door installers.